Style and trends in home improvement change over time. It used to be that the standard for a home was to have a white picket fence. These days, there are many more options available that are sturdier and more weather-resistant. Not to mention, with more style and design options, you can choose a vinyl fence that looks great with your home, without looking identical to the neighbor’s. There are many reasons homeowners are choosing vinyl fence over other types, such as wood. Not familiar with the benefits of vinyl fencing? Keep reading to learn how a vinyl fence is the perfect solution for your Maryland home. There are many reasons homeowners are choosing vinyl fence over other types, such as wood. First of all, it lasts longer and is sturdier than wood fences. If you’re going to invest in fencing, you want something that lasts the longest and is known for being durable. Vinyl fencing definitely fits the bill. Not to mention, wood fences require painting, while a vinyl fence does not. This means less maintenance for this type of fence. A good wash once a year or so should keep it looking brand new, while wood fences require several touch-ups. Speaking of cleaning, you can clean your vinyl fence easily using every day cleaning products. Good old soap and water should do the job. With wood fences, especially since they are painted, should be washed with special chemicals. You don’t have to worry about that hassle with vinyl fencing. And what about debris and rough weather? Because vinyl fencing is sturdier and more durable than wood fences, it can take more of a beating from the weather. It doesn’t snap as easy as wood, either. Maryland does get some pretty ruthless wind storms, and occasionally hurricanes. A vinyl fence is less likely to buckle against debris than a wood fence is. Lastly, say good-bye to wood rot! Since vinyl fencing is not wood, it does not rot like a wood fence does. So, you don’t have to worry about your vinyl fence rotting or rusting. That’s one less headache to deal with. 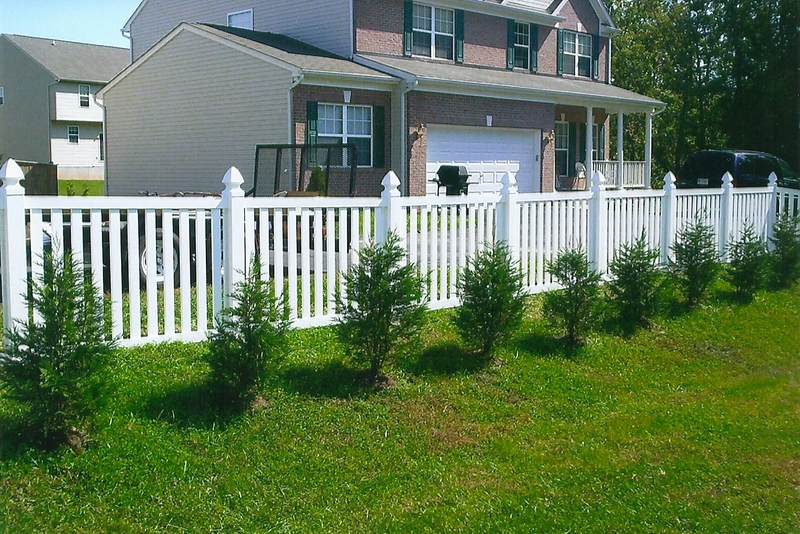 Freedom Fence and Home, which services the Harford County area, provides vinyl fence and vinyl fencing services for homeowners who want to improve the look, and value, of their homes. Our crews are highly trained and have been performing construction for years. You can view our gallery to familiarize yourself with our work. If you have any questions about a vinyl fence or vinyl fencing, please contact Freedom Fence and Home by calling 443-271-6841 or visit our website. You can also follow us on Facebook and Twitter! This entry was posted on Thursday, November 12th, 2015	at 1:47 am	. Both comments and pings are currently closed.